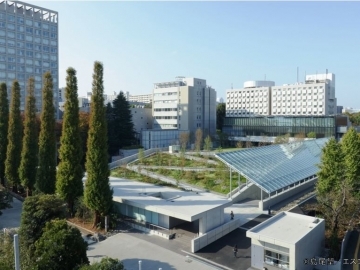 Since March 20, 2018, the Waseda University History for Tomorrow Museum has been opened to all at the Waseda Campus Building No. 1, across from Okuma Auditorium. 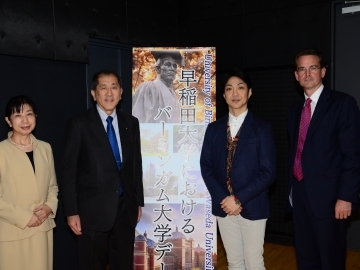 On the opening ceremony the Waseda University Archives held an exhibition event highlighting the first students to enroll in the university, which was called Tokyo College during the first 30 years since its founding. 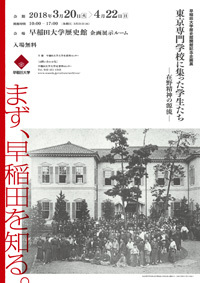 The event was titled The Students of Tokyo College—The Source of the Subversive Spirit. Today, there are about 50,000 students (including graduate students) from diverse backgrounds enrolled in Waseda University. However, when the university (then called Tokyo College until 1902) was first established in October 1882,there were only about 80 registered students. Considering the circumstances surrounding higher education at the time, whether this number was big or small is a matter of debate. However, it is irrefutable that the university has expanded on a scale that is incomparable to its founding years, and has become a far more prestigious educational institution. However, even if its form and scale have changed, there are elements that have been passed down without alteration. 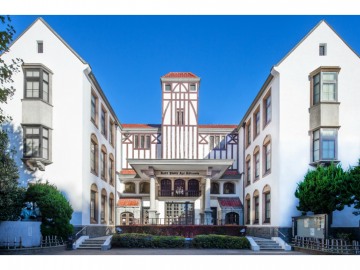 The philosophy of the independence of learning and the spirit of valuing subversion are part of the academic traditions that Waseda University has cultivated throughout its history—one can argue that it is the very foundation of its existence. This is what the university has always been known for. 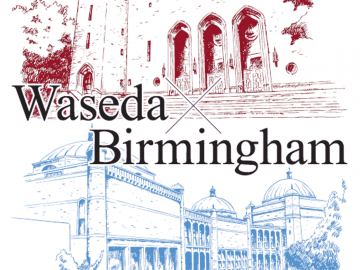 The independence of learning was a principle advocated by Azusa Ono on the day Waseda University was founded. The main founding principles were inherent in the ideas of Ono and others who helped establish the university. However, the principles themselves do not naturally turn into academic tradition. It was once said, “The academic traditions of a university do not exist in the school’s system or the internal musings of its founders. They are cultivated by the students themselves, and are embodied by their presence.” (Masayuki Manabe, Tokyo Senmon Gakko no Kenkyu [A Study of Tokyo College], Page 120) The story of a university’s history cannot be told without acknowledging its students. In the year following the failed Meiji-14 coup of 1881, Tokyo College was founded by Shigenobu Okuma, who had been expelled from the government at the time. In its founding years, the school was decried as a “rebel school” and a “breeding ground of Constitutional Reform Party members,” experiencing many hardships. Who were the students who intentionally chose this school and arrived at its gates? What did they learn and do, and who did they become? In this article, I would like to introduce the activities of the first students who studied at this university while following along the content of the exhibition. In October 1881when the failed Meiji-14 coup took place, Shigenobu Okuma and other government officials who were sympathetic to the cause were expelled from the government. At the root of this attempted coup was a group of political dissidents who advocated the rapid establishment of a British-style constitutional monarchy in Japan, an idea that was regarded as dangerous by other high-ranking government officials. In the aftermath of this event, the government’s policy shifted towards adopting a powerful monarchical system of a government much like the system in Germany, leaving Okuma and others to be relegated to the opposition of establishment party politics. In 1882, the following year, Okuma and his sympathizers established two organizations in order to realize their ideals. They were the Constitutional Reform Party and Tokyo College. 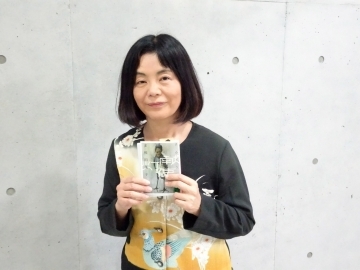 Among these, those who helped establish the university were Azusa Ono, a rising intellectual and Okuma’s trusted partner, and the youth that followed in his steps, including University of Tokyo graduates Sanae Takata and Tameyuki Amano. When Ono made his declaration for the independence of learning during his school opening ceremony speech, he was referring to two things: the independence of Japanese tertiary education from foreign influence, as well as the independence of schools from the political forces. Higher education at the time was mostly conducted in foreign languages, but based on Tokyo College’s philosophy of the independence of learning, the school aimed to provide intensive education in Japanese. Most of the people who were involved with the university were members of the Constitutional Reform Party, but within the classrooms, the courses offered were specialized subjects in the sciences that were not partial to a specific political faction. 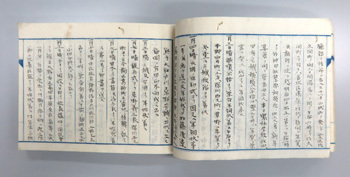 In this exhibition, the transcripts written by students Hajime Hiroi and Eitaro Yamada (both graduated in 1885) in lectures held by Sanae Takata (Western history), Tameyuki Amano (principles of economics), and Ichiro Yamada (political theory), as well as their graduation theses are displayed (Photo 2). This is an opportunity for visitors to see the actual handwriting of students written with the utmost focus, while witnessing the dawn of the social sciences in Japan. One of the main principles of Tokyo Collegewas to respect the autonomy of students. The philosophy was to not force students into a way of thinking, but rather to foster the voluntary scholarly efforts of students, which was how they achieved the independence of learning. No effort was condemned. There were students who devoted themselves to their training in sumo or kendo, while others immersed themselves in scholarly pursuits day and night in pale faces. In the school dormitories where most of the students lived, political debates unfolded on a nightly basis, often escalating into arguments, and the lecturers who were disliked by students had to be ready to face the denunciation of students. The lecturers, many of whom were themselves fresh out of university, were at the mercy of the students who always seemed to be sowing the seeds of discord. The lecturers, who were committed to the objectivity of scholarly pursuits, did not try to guide the students towards any specific ideology. However, the liberal atmosphere of the school naturally fostered a sense of political thinking in the students that naturally favored individual freedom and civil rights. 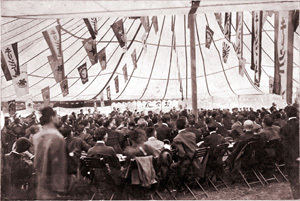 Students participated in political speaking events which were prohibited at the time without any hesitation. There was even an incident where confidential government documents were published in secret. The first athletic event held at the school was also the site of an anti-government demonstration, which brought the police onto the university premises. 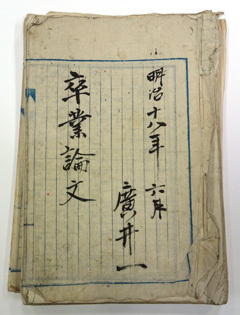 There is a detailed record of this in the journal of Katsumi Shinoda (graduated in 1889), which is displayed at this exhibit (Photo 3). The journal has been translated into modern Japanese, so I hope visitors will take the time to read it. The independence of learning, which Azusa Ono advocated, was actually a philosophy that espoused political neutrality. This philosophy came to represent the spirit of defiance that did not pander to the powers-that-be, embodied by the students who did not fear obstruction or suppression. In 1884, Tokyo College sent off their first graduating class. The university, which only had 12 students in the beginning, reached a total of over 1,000 students 10 years later. The students carried the ethos of their school even after graduation, and with their anti-bureaucratic spirit, the heavily politically motivated graduates went on to thrive in the fields of journalism, publishing and politics—far outpacing the graduates of other universities in these areas. Eventually, as students began graduating from the Department of Literature established in 1890, the university started to become known for their inclination towards politics, journalism, and literature, a reputation that persists to this day. Even after they left Waseda University, the graduates continued to support their school in various ways as alumni (Photo 4). The alumni, who rejected government service, accumulated their strength and potential as civilians, eventually became the powerful bearers of democracy as politicians and journalists. 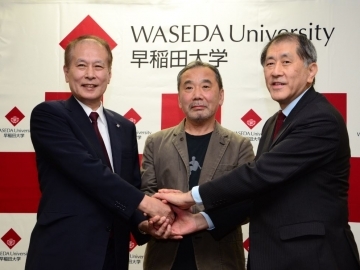 This subversive spirit that was demonstrated through the activities of the alumni of Waseda served as inspiration for new generations of youth who set their sights on Waseda as well. Toward the end of the exhibition, we have introduced some of the recollections recorded by the students in their later years. I believe the visitors who read these recollections will gain a better understanding of the students who gathered at Tokyo College, with their range of motivational factors and their great individuality. The liberated activities of this diverse group of students complete the bigger picture, which is the academic tradition of this university that persists to this day. The youth that strived for independence, even if it meant defying the expectations of the lecturers at times—this is the spirit of Waseda. I hope this event offers visitors the opportunity to gain a deeper understanding of this history. Born in 1977, Takashi Hiroki completed his doctoral program at the Graduate School of Letters, Arts and Sciences, Waseda University before assuming his current position in April 2016. He is an expert in modern Japanese history.